Pottery Bowls for Personalized Wedding Gifts, Home Décor and More! Looking for personalized wedding gifts, a totally unique home décor piece or something beautiful and creative to give a friend of family member? At Bryan Becker Clay Werks we’ve got you covered! Our handmade pottery comes in all different shapes, sizes, styles and colors. From decorative wine chillers and lavish wine goblets to customizable wedding bowls, there’s something for everyone in our extensive clay pottery collection. 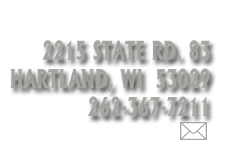 Established in 1983, Bryan Becker Clay Werks Inc. has been in the clay pottery industry for more than 30 years. Our pottery gallery is home to countless works of art from over 100 national artists who specialize in clay, metal, glass, wood, fiber, mixed media and unique jewelry. The exceptional craftsmanship and creative detail found in these one-of-a-kind pieces is truly remarkable. Featured in 110 retail stores and welcoming new accounts, the name “Bryan Becker Clay Werks” is spreading rapidly amongst the alcove of those with an appreciation for handmade and custom crafted works which captivate and inspire. From the savvy gift giver to art collectors and interior decorators, Bryan has been custom tailoring his pottery to both residential and business-based customers alike. When it comes to producing one-of-a-kind gifts and home décor we are one of the top in the industry. Whether as a decorative element, a gift or both, we know it’s the details that make the piece really stand out above the rest. People just can’t get enough of Bryan Becker Clay Werks! Come see what everyone is raving about! Shop all our pottery for sale online, stop into our pottery gallery or contact our pottery shop directly for more information about a specific piece. Bryan has been custom tailoring his pottery for residential and corporate customers. Bryan Becker Clay Werks creates pottery for his gallery as well as 110 retail stores and growing.